In every office, a printer is a device that you need to work literally every day. 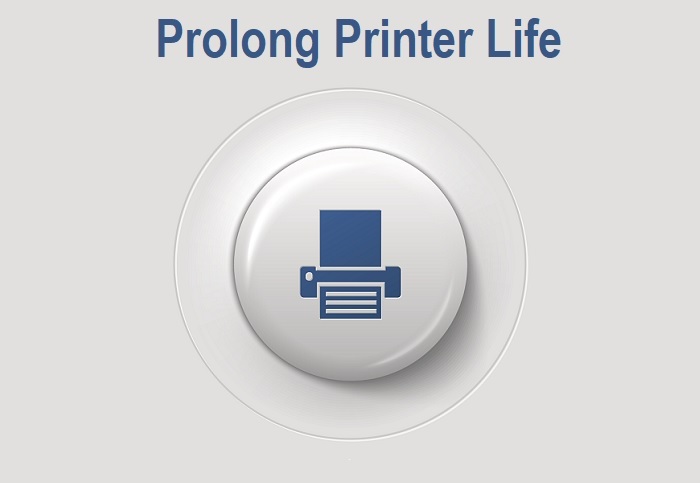 You have to print numerous documents almost every day, which keeps your work going on. There are several documents which you give to your clients, customers, business partners, employees and keep a copy with yourself for future reference and use. Lack of care and ignorance can damage the print easily in a short span of time, which is the wastage of your resources. As an ardent business owner, you would like to increase the life expectancy of a print as far as possible. This can be done easily with by ensuring the compliance with simple rules and regulations. Here they are. Always keep in mind that printers can print quality papers only if they are maintained very well. If you use printers for printing numerous papers on a daily basis don’t think about their well-being, their health will go down ultimately and you will see a sharp decline in the quality of printed papers. Therefore, you should pay attention to the operation of the device and seek the help of a specialist when the first signs of the problem appear. Your printer has many problems. An uncharacteristic brightness of the image. The appearance of strange sounds during operation. In order to avoid breakage, cartridge refilling must be carried out strictly after the Printer inks has run out If this has not been done, the ink will wither and recovery will be impossible. Unfortunately, refilling the cartridges do not always have a positive effect on the quality of the printed documents. At the same time, the filled ink may not meet the technical requirements of the manufacturer. Therefore, it is recommended that you must always use a new cartridge instead of a refilled cartridge. It will increase the life of a print up to a great extent. Many companies buy paper of second or even third grade for saving some bucks. Unfortunately, such papers are prone to jamming. For printing most office documents, paper with a density of 75 g / m2 is enough, but to achieve ideal results, it is better to use paper with a density of at least 90 g / m2. To find out what type of paper is suitable for a particular printer model, refer to the manufacturer's instructions - most companies publish their paper requirements in the user manual. If the paper type that you are using does not meet these requirements, the manufacturer will not give a warranty for the printer. So read the document carefully or visit the manufacturer's website. The use of quality paper for meeting printing needs is a great step to boost the life of a print. There is a widespread misconception that fanning through a bundle of paper before loading it on printers reduces the possibility of paper jams. In fact, this is not the case on most of the occasions. So, it is better to avoid such practice as it leads to the formation of static electricity between sheets of paper, which further contributes to their jamming. If the printer is not located in an area of high humidity, do not be afraid that the pages will stick together. Modern models perfectly separate the sheets right in the paper tray and facilitate quality printing. It increases the life expectancy of the print. The increased humidity of the ambient air can lead to the gluing of the sheets, which is fraught with a jam and other errors when feeding paper. To prevent the damage of print, keep it in a cool dry place. Staples And Scrapers are used in corporate offices to attach several documents and keep them in one place. This damages the print greatly and its life expectancy is decreased up to a great extent. So, you must avoid its use if possible. You can use paper envelopes for this purpose. Children and animals are foes of print and almost all types of documents. So, you must store the print in such a place that children and animals can’t reach there. You can keep them in Steel/wooden Almirah, study room, in a briefcase, etc. In this way, print remains safe from dust and other external harmful factors. Once you print and store the printed paper in a safe place, don’t neglect the huge importance of regular observation. Just observe the stored documents regularly and see what else can be done to ensure their 100 protection. Make sure that store place is free from fungus and other decomposers. Relocate the storage place ASAP if you find any problem in previously stored place. Printing papers are one thing and ensuring its protection and increasing its life expectancy is another thing which should not be ignored. Active Observance of the above rules, recommendations, and preventive maintenance tips will help you to expand the life of a print in easily and effortlessly.